A new line of red carpet gowns are on the path to grace the Oscar’s red carpet for the very first time. Balmain‘s creative director Olivier Rousteing is launching the French house’s debut line of red carpet dresses and told Vogue that some of the styles will head to Los Angeles this week for initial Oscar fittings. “There has already been enormous interest,” he confirmed to the glossy. The capsule collection, named 44 François Premier, after the address of founder Pierre Balmain’s original couture atelier in Paris, consists of 11 gorgeous evening gowns. The designer told Vogue that he looked to the Balmain archives for inspiration and wanted to evoke the spirit of Pierre Balmain as well as the rock aesthetic established by Christophe Decarnin. 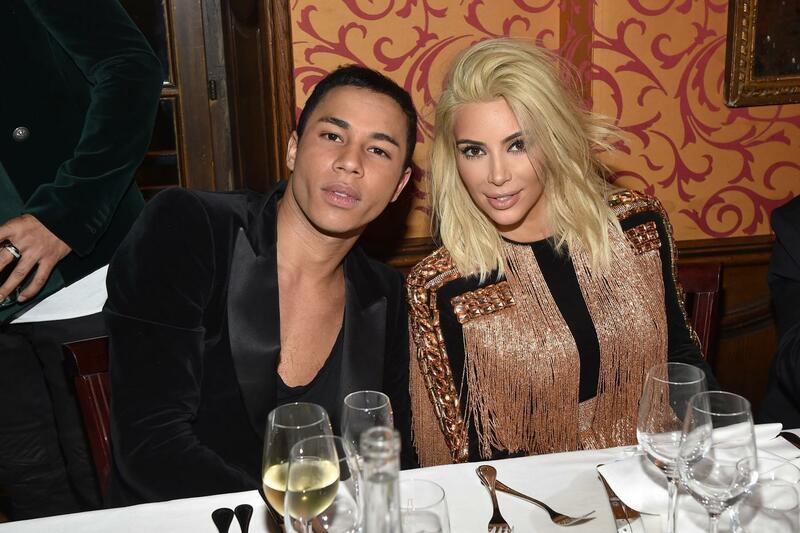 Rousteing is known for dressing the Kardashians, while Balmain has a history of dressing celebrities ranging from Beyoncé to Meryl Streep to Cindy Crawford, and more. The dresses will be available without special order. Prices have yet to be revealed.